bitterfitter wrote: Does that car have a spoiler on the trunk? If so, it doesn't look that bad. I actually kinda like it. He has '69 camaro front and rear spoilers. 69 Camaro front and rear spoiler. fits well without mods. The exhaust was custum bent, but the tips are just stainless 3 inchers that are angle cut on a 45. I think they are truck tips. They were just something the local pipe shop had in stock. 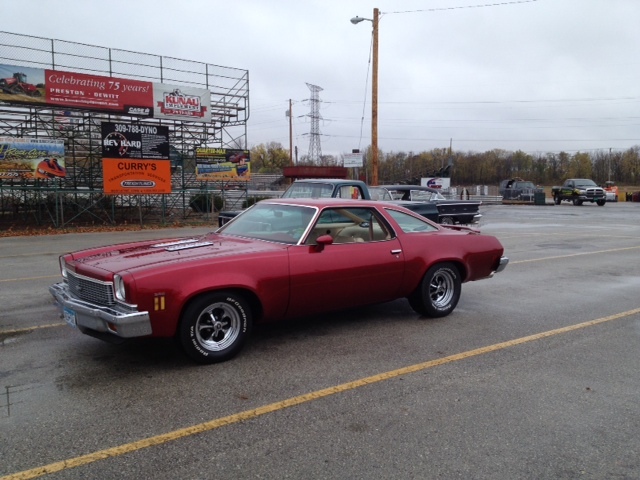 Somerset Ky's Somernites Cruise for June 28th is dedicated to Chevelle, El Camino, and Malbus. This month's Showcase area inside the regular Show & Shine is something new! 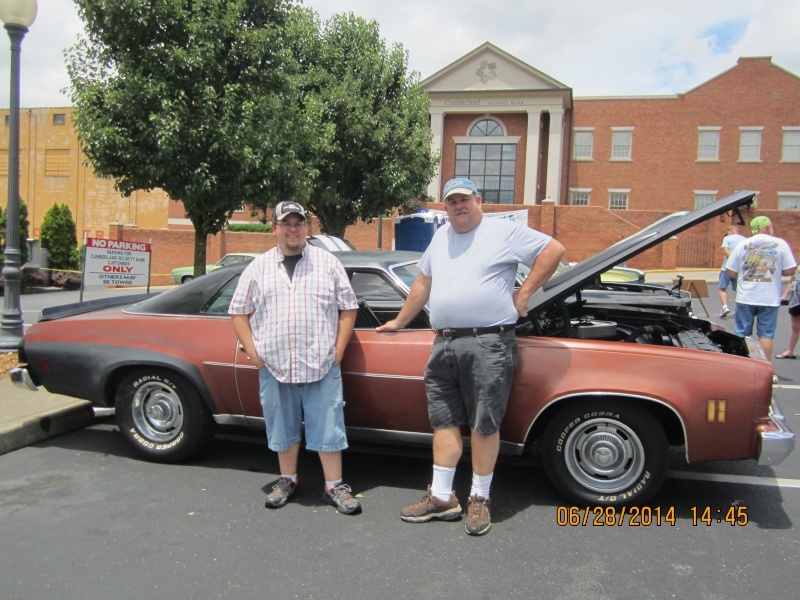 We're celebrating the 50th Anniversary of the Chevrolet Chevelle! Often referred to as "America's Musclecar" the Chevelle has earned a special place in the hearts of many collectors and enthusiasts. 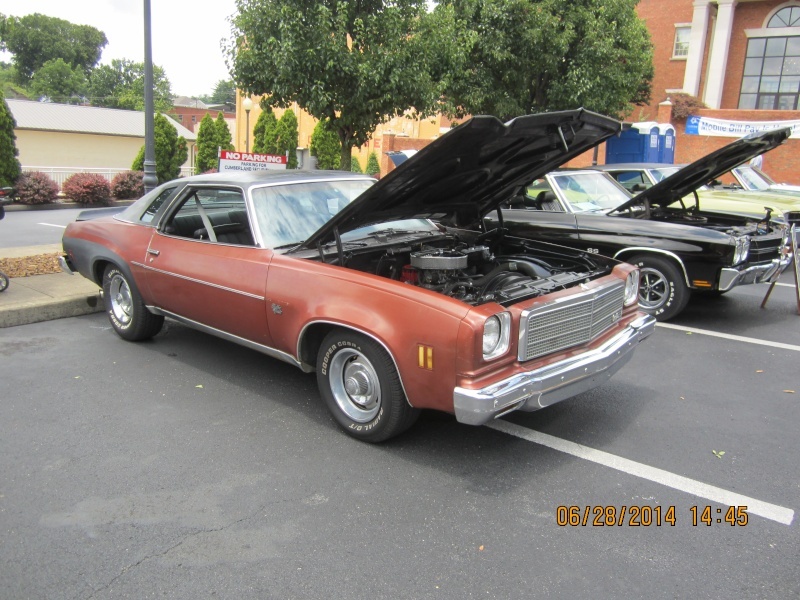 From modest six cylinders to the legendary 454 monster engine, the Chevelle has seen it all! Many have been restored but, far more have been hot-rodded and customized. 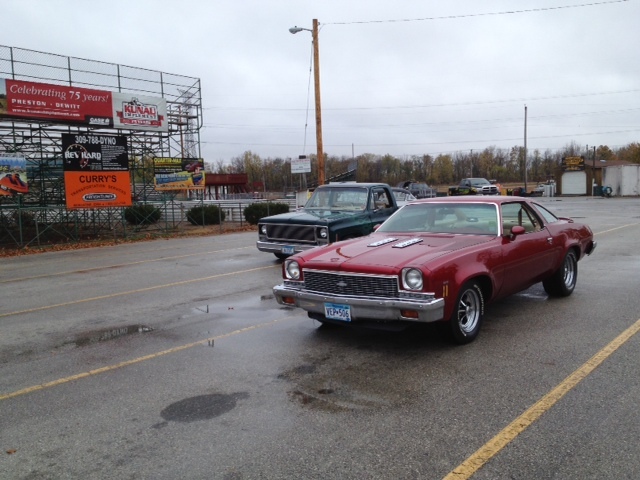 We invite you to bring your Chevelle, Malibu or El Camino to this gathering of Bowtie Muscle! Admission is free and we'll even have a special VIP entrance gate for Chevelles only on the south end of downtown. Gates open at 1pm! 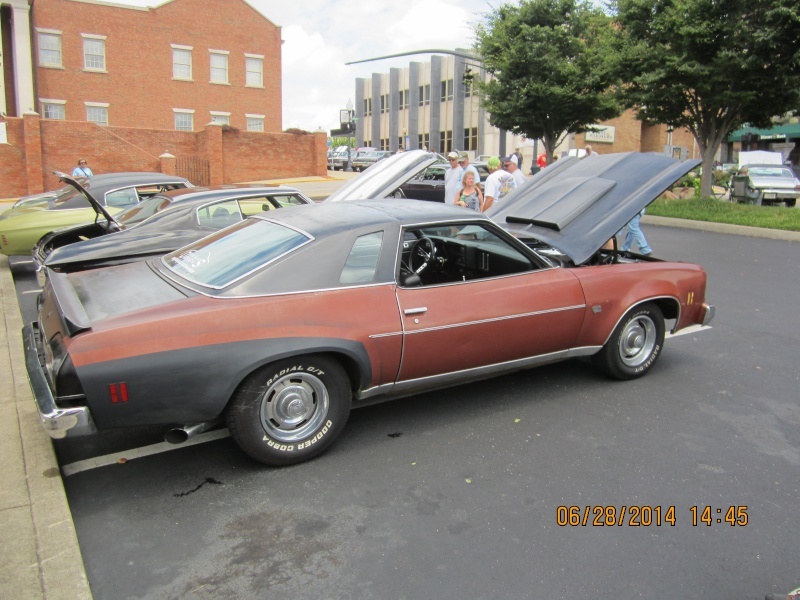 Win this Ultimate Door Prize at the June 28 Cruise...a Custom 1986 Chevy Camaro! Every show car or truck that comes thru any entrance gate at the June Show & Shine will receive one (1) FREE ticket on the drawing for this '86 Camaro. You can improve your odds of winning! For every $5 of official Somernites Cruise merchandise you buy on Sat. June 28th...you will receive one (1) additional ticket on the Camaro! Example: spend $50 and you'll get 10 additional tickets on the Camaro! Tickets are double tickets with the same number on each side. Tear the ticket in half, place one-half in the drawing barrel located in front of the 1986 Camaro on Town Square and when we draw, you could be the winner! You do NOT need to fill out the ticket. We are drawing a NUMBER not a name. Spectators, your merchandise purchases earn you chances to win as well! The drawing will be held on Town Square at 6:30pm (edt) on June 28th. We will draw a number and call it out. That ticket holder will have 4 minutes to match the number on his ticket with the number called. If no winner claims the prize within the alotted time, we draw again! You MUST be present to win! Win $1000 minimum at Somernites Cruise on Sat, May 24th in the OneMain Financial 50/50 Raffle! If over 2000 tickets are sold, the prize gets bigger! Tickets are $1 each. Drawing at 5:30pm. Must be present to win. OK I'm in was able to use some hotel points scored a room at the Holiday inn express for free. Tell me this is in a good area and I dont need to take shifts with my wife watching the car all night. Will be the first time since I owned it it will be outside overnight. Its the one on Stevie Lynn Drive. That is a nice one. I have stayed there but it is relatively new. It is directly across from the movie theater. I am so glad to hear you are coming. You are driving the Chevelle correct? Have a new engine not supposed to over do it for first 500. Will be bringing on a trailer. Will defiantly be taking it off when I arrive though. Awesome. I don't think you will have any trouble with leaving your truck and trailor or anything. If you are worried you could store it at my place. I think it would be safe there as well, but I do live about 20 minutes north or somerset. I will try and help you out if I can. I want to find a chassis dyno and check the numbers on my new engine. Thanks but was more worried about the car in the lot all night. IC. I don't think you will have any trouble. I am sure you wouldn't want to leave your car at my place, but you could if you wanted to. Can't wait to meet another fellow member. Made it down here just in time for the downpour. Will have to give it a bath in the am. Hope the weather is better in the morning. Weather turned out awesome. Was great meeting you and you family. We will be making plans for a trip back down next year. It was great getting to meet u and your wife as well as the Ghost Rider. The car looked awesome. Can't wait to c all of the pics u took from the show. Will have to wait a little longer. Came back to no internet at home and work computer wont send pictures. As soon as we get it figured out will post them but they came out very good. Awesome. Did you guys cruise the strip at all or do anything else exciting along the way? Great meeting with you. Here are the pics of your car. See you same time next year or maybe sooner. Who do you think is having more fun me or the wife! Anyone coming to the cruise this weekend. I hope I can make it. We have been having a lot of issues lately and I just hope I can squeeze in a little time. You mention you moved the rear bumper closer to the body. I'm very interested in doing something like your talking about. Could you share info on how you accomplished this task. I try to do most of my own work but I'm not a good fabricator, so, any help would be much appreciated. Here jerry, its not that hard. Just wondering if anyone has ever tried put together a cruise in for our G3 hobbyist? It would be a lot of fun and great to meet fellow enthusiast. Certainly it would take some planning and coordination. Is there any interest from the members? It's been mentioned, but we were/are all spread out so much that it was hard to find a spot close to a large group of us.. Plus, usually more than a few cars aren't in any condition to drive long distance. 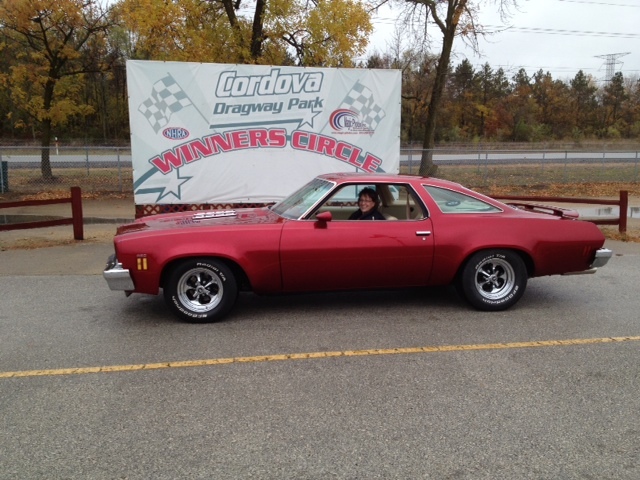 I tried to attend a get together in 2012 in cordova raceway. it rained and no one showed up. We drove all that way and nothing. Wallyuph wrote: I tried to attend a get together in 2012 in cordova raceway. it rained and no one showed up. We drove all that way and nothing.